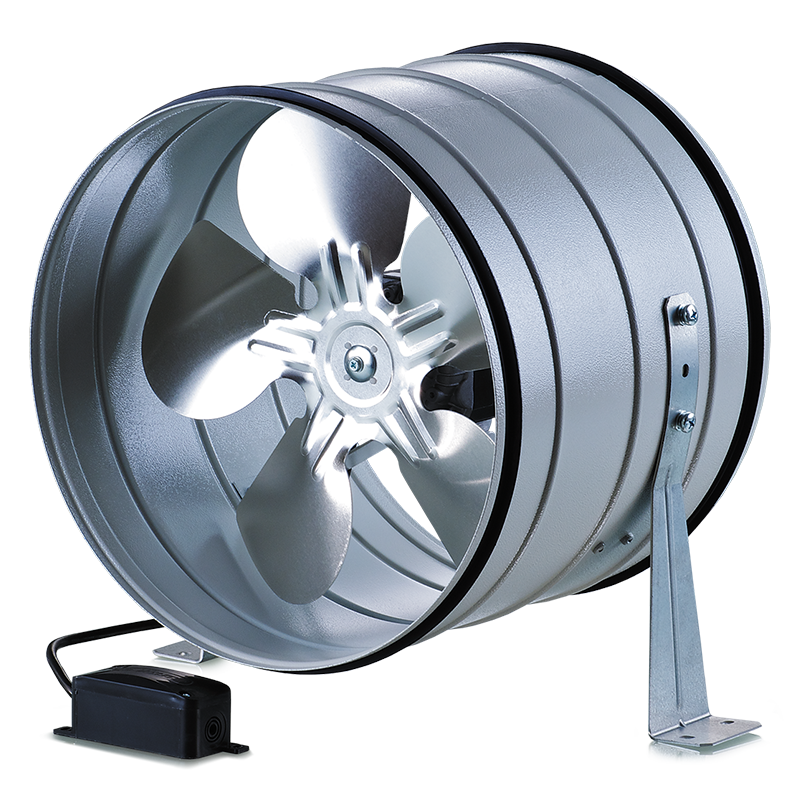 Axial inline fans. Maximum air capacity up to 1700 m³/h. Supply and exhaust ventilation systems installed in various premises. Mounting in ventilation systems with low static pressure requiring high air capacity. Compatible with Ø100 up to 315 mm round air ducts. Compact steel casing covered with special polymer coating (Tubo-M series) or galvanized steel casing (Tubo-MZ series). Aluminium impeller. The fan is equipped with a power cord and external terminal block for connection to power mains. Single-phase asynchronous external rotor motor with axial impeller.Equipped with ball bearings for longer service life. Integrated thermal protection with automatic restart. Mounting in air duct or directly to the wall in any position with respect to air flow direction in the system. Power is supplied to the fan through an external terminal box with sealed electric lead-in. Wall or ceiling mounting with fixing brackets supplied as a standard.Polymer coated or galvanized steel reducers are provided for connection of the Tubo-M fans with Ø150 up to 250 mm air ducts. The reducers are not included into delivery list and are available upon separate order. Tubo-M 315 and Тubo-MZ 315 with Ø 315 mm air ducts have direct connection.